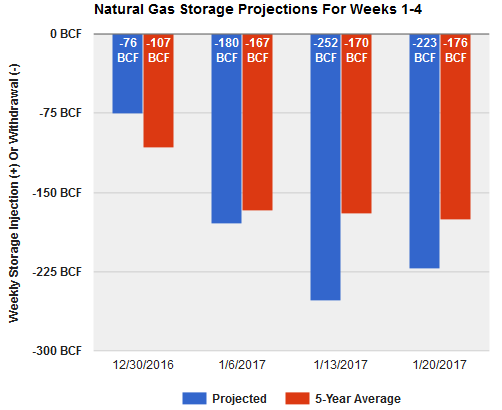 An array of natural gas storage data is available, including "official" inventories as reported by the EIA, daily projections and estimated intraday current inventories, near-term weekly projections, and long-term forecasts. These projections are derived from a combination of observed natural gas pipeline data, near-term computer model temperature forecasts, and extended-term temperature forecast trends. Click your dataset from the boxes below. 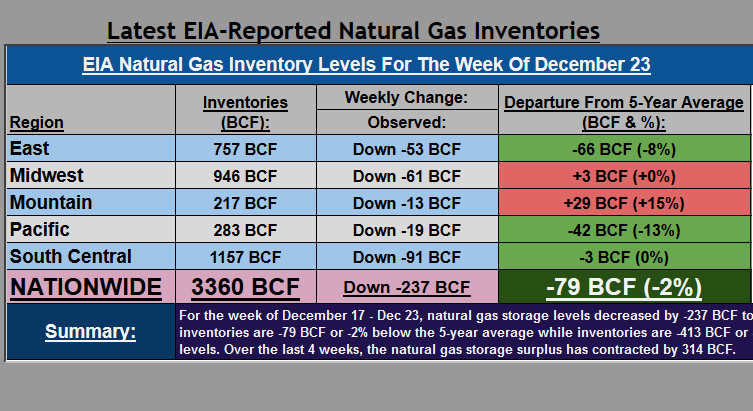 Updated Thursday at 10:30 AM EDT with the EIA's Storage Report for natural gas inventories as of the previous Friday. Also includes data on the current withdrawal season with historical context. Projected daily storage injection or withdrawal and estimated intraday natural gas inventories. Updated hourly throughout the day based on temperature and pipeline data. 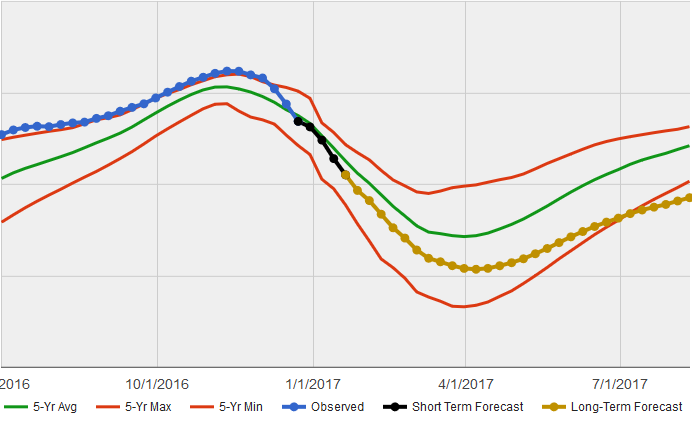 Weekly storage projections for the next 4 weeks, including daily injection & withdrawal data, inventory levels, and historical context. Updated twice per day at 7 AM and 7 PM EDT. 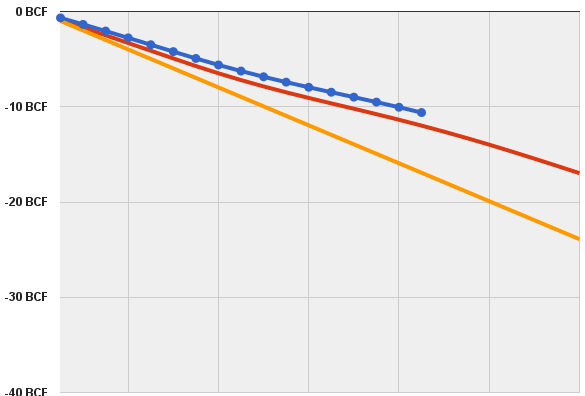 Experimental long-term projection data based on extended temperature trends and current supply/demand balance. Includes withdrawal season-ending projections & weekly storage forecasts for the next 8 months.